As mentioned here, a former student and I are writing about the expressions of solidarity between the far left and the women’s liberation movement in Britain and the women imprisoned in Armagh Gaol in Northern Ireland who were seeking political prisoner status. While we work on a large and unwieldy draft, I thought I would post some stuff on the relationship between the British far left and the women in Armagh, as well as the wider anti-H-Block movement. This is still a work-in-progress so any feedback is most welcome! The anti-H-Block campaign that began in Northern Ireland, quickly spanning to the Republic of Ireland and Great Britain, was the first real opportunity to build a (pro-Republican) mass social movement since the anti-internment marches of the early 1970s. Culminating in two series of hunger strikes in 1980 and 1981, the anti-H-Block campaign brought together the various Republican groups that existed in Northern Ireland, as well as wider support from the labour movement, the far left, the women’s liberation movement and various faith-based and human rights groups in both Ireland and Britain. While the hunger strikes are seen as a turning point in ‘the Troubles’, F. Stuart Ross has argued that just as much happened within the popular anti-H-Block movement ‘outside the prisons’ (his emphasis). By the late 1970s, many in Britain had begun to think of ‘the Troubles’ as a distant and external issue, despite the regular threats of bombings in London and other cities in England. However the anti-H-Block campaign created new bonds of solidarity, especially as the hunger strikes got underway in late 1980 and then again in early 1981. Although most of those who went on hunger strike were men belonging to the (Provisional) Irish Republican Army (IRA) and the Irish National Liberation Army (INLA) at Long Kesh, three IRA women (Mairead Nugent, Mairead Farrell and Mary Doyle) incarcerated at Armagh Women’s Goal also participated in the first hunger strike in the final months of 1980. The involvement of these three Republican women drew a substantial amount of solidarity with sections of the far left in Britain. This post will explore how the far left in Britain demonstrated their solidarity with the three women in Armagh Women’s Goal on hunger strike in 1980 and their wider engagement with the anti-H-Block movement. It will also examine how other women imprisoned in Armagh who were involved in ‘dirty protests’ against the policy of criminalization were perceived by the various groups of the British left, especially looking at the massive amounts of sympathy expressed for the sick inmate Pauline McLaughlin in the left-wing press. While overshadowed by the death of ten hunger strikers in 1981, which generated worldwide outrage at the British Government, the three female hunger strikers at Armagh had a significant impact on how British socialists viewed women within the Irish Republican struggle. Since the partition of Ireland at the end of the Anglo-Irish War, which occurred almost simultaneously with the establishment of the Communist Party of Great Britain, the British far left has generally supported the reunification of Ireland and since 1969, the removal of Britain’s military and political presence in Northern Ireland. This support for a free and united Ireland stemmed from the position of the Communist International to support for the national liberation struggles of all colonial and semi-colonial peoples across the globe, and the Leninist assumption that revolutions in the colonial sphere would help spark revolutions in the West. Specifically for the British working class, Lenin argued in 1914 that ‘[t]he English working class will never be free until Ireland is freed from the English yoke.’ The CPGB had a substantial Irish membership and had close links to the communist movement in Ireland, with C. Desmond Greaves helping to establish the Connolly Association in 1938. Supporting the push for civil rights for the Catholic population in Northern Ireland, as well as an end to ‘police state’ present in the North, the Party were sympathetic to the Northern Ireland Civil Rights Association, but were completely caught by surprise, like many of the British left, by the events of 1968-69, which saw British troops intervene. The day must come when Irishmen who hold these aims will form an Irish socialist party that can play a vital part in the national and social struggle. Meanwhile, the IRA was dismissed as having ‘neither ideals nor courage’. The beginning of ‘the Troubles’ in Northern Ireland coincided with the explosion of the far left in Britain, with the radicalism of 1968 seeing the emergence of the International Marxist Group and the International Socialists, both Trotskyist groups that had broken away from being entrist factions within the Labour Party. For many on the left in Britain, the landing of British troops in Derry in August 1969 was initially welcomed as bulwark against the sectarian violence of the Royal Ulster Constabulary and the paramilitary police organisation known as the ‘B Specials’, with the International Socialists stating that ‘[o]nly the intervention of British troops stopped the pogrom.’ However this intervention was believed to be a temporary measure and that the deepening of the crisis of Northern Ireland gave rise to opportunities for the left to exploit. For example, The Black Dwarf, the newspaper of a broad-based collective including the IMG, praised the people of Bogside for having ‘taken their lives into their own hands’ and while applauding that this had been done by urban struggle and supposedly not using the IRA, the paper called for the people of Ulster to ‘turn the civil war into a revolutionary war’. John Cunningham shows that the Militant were sceptical of the deployment of British troops and instead called for ‘joint defence committees’ run by the labour movement, although Militant’s presence on both sides of the Irish border was minimal at this stage. As the conflict in Northern Ireland became a violent stalemate in the mid-1970s, the British left focused their activities for peace in the region through the Troops Out Movement (TOM), which was established in 1974 by the IMG, the CPGB, the libertarian group Big Flame and the Anti-Internment League. Jacob Murphy has argued that ‘TOM was the leading organisation in the British Left campaign for the withdrawal of troops from Northern Ireland.’ With the experience of the IMG in the Vietnam Solidarity Campaign (VSC), the TOM with devised on the model of the anti-Vietnam War movement and the hope that a focus on the casualties of the conflict ‘would provoke an identical crisis whereby the British public would demand the withdrawal of troops. However there were divisions inside the movement over how the withdrawal of troops would happen – it raised questions of whether the withdrawal would be immediate or a gradual process – and this led to accusations of ‘reformism’ by some of the smaller tendencies within TOM, namely the Revolutionary Communist Group and Workers’ Fight (both of whom had split from the IS previously). The TOM went into a temporary decline in April 1977, when the IMG and Big Flame sought to split the organisation’s leadership, but like the rest of the British far left, after the anti-H-Block campaign, a restructured TOM was rejuvenated for the early 1980s. As mentioned above, the anti-H-Block campaign regalvanised support for the Irish Republican movement in Britain, particularly as the Thatcher government took a hardline on making any concessions to the Republicans, and the 1980 hunger strikes attracted much attention from the British left. However the various groups on the British left were divided over their attitude towards the hunger strikers. The Communist Party, the Socialist Workers Party and the International Marxist Group all supported the hunger strikers and their demands for political prisoner status, with both the Morning Star and Socialist Worker demanding ‘Don’t let the hunger strikers die’. However Militant were more apprehensive in their approach, explicitly stating that their support was on ‘the basis of humanitarian grounds and not particular support for the IRA.’ In the organisation’s internal bulletin, some members questioned whether these ‘sectarian assassins’ could be called ‘political prisoners’ and stated that the ‘methods of the Provos have themselves made it extremely difficult before now to take up this issue.’ John Cunningham has shown that Militant argued that any concessions made to political prisoners ‘should be extended to all prisoners on a human rights basis’ and the review of those sentenced in the no-jury Diplock courts ‘should be adjudicated by the labour movement’. While there was considerable focus on the hunger strike by the seven men in Long Kesh, the newspapers of the CPGB, SWP and IMG all gave significant coverage to the Armagh women in their ‘dirty protest’ campaign and the eventual hunger strike. The Morning Star, Socialist Worker and Socialist Challenge all announced the commencement of the hunger strike by the three women prisoners. The Morning Star called it ‘a sharp new twist’ in the hunger strike protests, while Socialist Worker, writing in late November 1980, mentioned that ‘three to five of the 28 women will join the strike’, but also noted that ‘Sinn Fein still hopes to persuade them not to go on strike’. The reason for this, the paper gave, was that ‘[i]t is not expected that they could endure a hunger strike for very long.’ Socialist Challenge announced the commencement of the hunger strike by the Armagh prisoners with the headline ‘NOW IT’S TEN WHO FACE DEATH’ and called for mass demonstrations by the labour movement in Britain in support of the hunger strikers, warning that ‘silence could well prove fatal for Mairead Farrell and her comrades’. Mairead does not do this because her conditions have driven her insane, though they might have done. She does it because the alternative is to leave her own dirt on the floor where she sleeps. And that is her only choice, if you call it ‘choice’ at all. Like another 31 Republican women prisoners in Armagh jail, Mairead is denied access to toilet and washing facilities because she refused to classed as a ‘criminal’. They have made their decision. It is their choice. It is not up to us. I know my daughter is determined to win or die. Mobilise your resources and use every possible means to pressurise the British government into conceding our just demands before death and all its stark reality intervenes here. In the last edition before the Christmas of 1980, the newspaper warned that ‘it now seems certain that a number of Irish political prisoners will die an agonising death over Xmas’ and called for the Labour Party and its supporters to speak out against this. In the event of any death, the newspaper declared that the national Ad Hoc Irish Hunger Strike Committee would hold a picket outside Downing St, with regional demonstrations in Birmingham, Liverpool, Glasgow and Cardiff to follow. However the 1980 strike was called off before any deaths and in the aftermath, Socialist Challenge portrayed it as a temporary relief from the deadlock of the strike and in the words of People’s Democracy, a ‘limited victory’. But referring to a statement from Sinn Fein’s Gerry Adams, acknowledged that not much had changed from before the strike and warned of the ‘possibility of another hunger strike’. At the same time, the newspaper pointed to ‘unquestionable victories’ in the campaign, such as the emphasis on mass action, the thousands of people mobilised against the H-Block conditions and the enduring pressure applied by the community in both Ireland and the UK against the British government. While the CPGB, SWP and IMG all covered the hunger strike in their newspapers, only the SWP also discussed the strikes in the monthly journal, Socialist Review. The CPGB’s other publications, the fortnightly Comment and the monthly Marxism Today had no coverage of these strikes or the wider anti-H-Block movement. As an example of this lack of interest, Socialist Review reported that at the 1980 National Union of Students Conference that a SWP call for a collection to be held at the conference for the Armagh women’s campaign was opposed by a Eurocommunist member of the CPGB, ‘to the amazement of even many CP members’. [W]e must seek to transform this support into a movement that will force the government to concede. In the months after the strike ended, Chris Harman wrote that the anti-H-Block campaign had challenged the centrality of militarism to the Republican struggle, but acknowledged that ‘[t]he “left” still tolerate the subordination of everything to the military struggle’. As Kieren Allen from the SWP’s Irish sister organisation, the Socialist Workers Movement, wrote, ‘The Provos are clearly seen as the fighters against British imperialism and the most consistent agitators for a united Ireland.’ Of the British far left political organisations, the SWP was probably the most influential of the groups that covered the hunger strikes, especially compared with the CPGB, IMG and Militant (although the much smaller Revolutionary Communist Group and the Revolutionary Communist Tendency also gave considerable coverage to the strike and the wider Irish Republican struggle). However within the party’s coverage of the strike, there was little outside of the pages of Socialist Worker that mentioned the female hunger strikers in Armagh. It is not that the SWP focused on the hunger striking men at Long Kesh, but the women were not explicitly mentioned either – the strikers were only discussed as an entity that did not differentiate between the two groups. The wing the women are held in is the largest block in the prison, with three stories, and on the Governor’s orders, only one orderly is detailed to clean it. So it is filthy. The women themselves have been on 21-hour lock up, so they have only three hours to clean themselves, their clothes, and their cells. There are two baths for the 33, the washroom has no hot water and regularly flood, there are no mops and one brush, Wing dirt gets walked into cells landing bins are not emptied. The place is maggot-infested. The warders have cut down even more on toilet visits – twice a day only, and women are allowed only two sanitary towels daily, regardless of need. They have had to relieve themselves in the cells. The women had to dump their chamber pots through the spyholes and the windows of the cells. These were then blocked up by the warders, since when the women have had to smear excreta and empty urine in the cells themselves, or in the corridors during their one-hour exercise period. To protest these conditions and the violence experienced by the prisoners, the journal publicised the work done by Women Against Imperialism and the large demonstration held on International Women’s Day 1980 in Belfast in solidarity with the prisoners, as well as subsequent speeches. There isn’t one girl or one woman on protest there who’s a masochist, who enjoys that protest or enjoys living in filth and dirt for five months as it stands now. They don’t enjoy it, but they’re doing it and they’re doing it for one reason and one reason only. And everyone in this room should understand the urgency of this, they’re doing it because they’re political prisoners. They’re prisoners of war that’s going on the North of Ireland that the British public are being duped about. While the coverage of the dirty protest by the Armagh prisoners was extensive, once the hunger strike began, the three women subsumed by the wider reporting on the two strikes at Long Kesh and Armagh. The December 1980 issue of the Troops Out journal featured an article profiling each of the men on hunger strike, however the women did not get this in-depth treatment. The Revolutionary Communist Group (RCG) and the Revolutionary Communist Tendency (RCT) were two breakaway groups from the International Socialists in the mid-1970s, with the RCG forming first in 1975, and then the RCT in 1978. John Callaghan argued that both of these groups differentiated themselves from the rest of the left for their uncritical support for the IRA and the INLA. The RCG had a ‘Third Worldist’ position and endorsed the theory of a labour aristocracy, which purported that Western workers directly benefitted from the exploitation of people in the developing countries, and therefore the RCG’s political activism was primarily organised around anti-imperialist issues, such as solidarity with Irish Republicanism, the anti-Apartheid movement and anti-deportation campaigns. This was reflected in the title of their newspaper, Fight Racism! Fight Imperialism! In the face of long periods confined to their cells, and the denial of basic facilities, such as adequate medical facilities, the courageous prisoners have refused to bend the knee to foreign rule and are an example of Republican resistance even when in the clutches of the enemy. The left always tries to downplay the question of national oppression. In this way it tries to turn the Irish War into a trade union issue or a matter if human rights and civil liberties. The RCT were particularly critical of any left-wing condemnation of the IRA’s terrorism, declaring, ‘The left is ready to denounce the violence of the oppressed – especially when it is conducted in the heartlands of the oppressor, in Britain itself.’ This, the Tendency argued, left them with ‘no role to play on Ireland other than a pressure group on the Liberal and Labour Parties’. TROOPS OUT OF IRELAND NOW! SELF-DETERMINATION FOR THE IRISH PEOPLE! SMASH THE PREVENTION OF TERRORISM ACT! PRISONER OF WAR STATUS FOR IRISH ANTI-IMPERIALIST PRISONERS! deplores the failure of the official labour movement to support the demands for political status of republican prisoners of war in the Six Counties of Ireland. This rank-and-file pressure was part of the RCT’s broader slogan on the ‘Irish War’, which was ‘Bring the War to Britain’. On one hand, it was ‘a call to make the Irish War an issue in the British labour movement’. But it also, as the Tendency recognised, ‘implie[d] support for a violent attack on the British state – not only in the Six Counties – but in Britain itself.’ With its origins in the Leninist idea of converting an imperialist war into a civil war and the early Irish Communists inside the CPGB, the RCT’s slogan also echoed the slogan of the US leftist terror group the Weathermen Underground, whose slogan was ‘Bring the War Home’. However, despite the revolutionary rhetoric of the RCT, its influence upon the anti-H-Block movement was limited by its sectarianism. 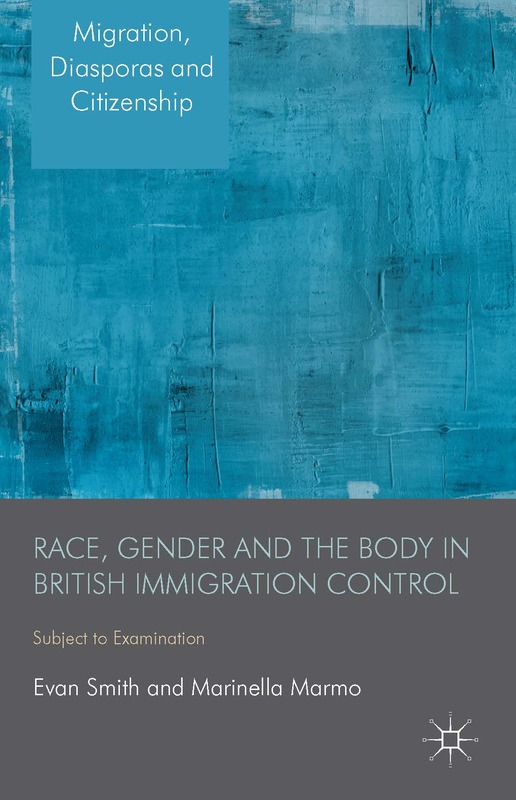 Although many outside the two groups could not differentiate between them, the approach of the RCG and its emphasis on the prisoners fit more with the wider currents within the Irish Republican movement in the early 1980s. On the other hand, the revolutionary and violent rhetoric of the RCT came at a time when the IRA were moving away from pursuing a primarily militarist strategy – inspired by the anti-H-Block movement and the hunger strikes. While Miss McLaughlin’s health does give cause for serious concern, it is considered in the light of all the advice available that there are insufficient grounds for taking the exceptional course of releasing her on licence from the indeterminate sentence and using the Royal Prerogative to remit the balance of the fixed terms. That final, fatal cardiac crisis? Or have they rather been gambling with her life, refusing to free her while the H-Block crisis was nearing the climax, fearing that if they did that the government might appear weak? Socialist Challenge claimed that the McLaughlin case ‘graphically illustrates the barbarity of Armagh’ and that ‘Pauline’s treatment is typical of that perpetuated by the British on Irish political prisoners’. Numerous demonstrations and political actions were called upon to highlight McLaughlin’s case, with pickets outside Whitehall and Downing St, emergency resolutions of various organisations being sent to the Northern Ireland Office and various protests against the doctors on staff at Armagh Goal. These actions were co-ordinated by the Armagh Co-Ordinating Committee, run out of a feminist collective space (A Woman’s Place on William IV Street) in London. These protests were given significant coverage in the Morning Star, particularly when actor Frances de la Tour attended a demonstration outside of Downing Street in December 1980. Pickets were also established outside the General Medical Council offices to condemn the role that GMC members played in the inadequate treatment experienced by women in Armagh Gaol. In January 1981, McLaughlin was eventually released from prison on medical grounds, although it is most likely that the campaign for her release, in amidst the wider anti-H-Block campaign and the hunger strikes, contributed to this outcome. Some of the press in Ireland suggested that McLaughlin was released at a time when the British government were in talks with Sinn Fein over the continuation of the ‘dirty protest’, but Ann Rossiter argues that the grassroots movement that campaigned for McLaughlin’s release succeeded ‘in embarrassing the British government and pinpointing the plight of the women prisoners at the heart of the establishment.’ While the left wing press did highlight the plight of McLaughlin, the campaign on the streets was led by feminists in Britain and Ireland. Most of the British left recognised that the anti-H-Block campaign had revitalised the Irish Republican movement on both sides of the Irish Sea and that despite the inability of the campaign to obtain political status for those imprisoned, a grassroots political mass movement had emerged that offered an alternative to the terror campaign waged by the IRA and the INLA. In Northern Ireland, the initial benefactors of this movement was the reformed People’s Democracy, whose members held important roles in the National H-Block/Armagh Committee, while in Britain, the campaign revived the influence of the Troops Out Movement. The gains made by PD eventually convinced Sinn Fein that their policy of abstentionism had not reached the masses in the same way that the anti-H-Block campaign had and led to the eventual acceptance by SF of gaining power by the ballot box – combined with the sustained terror campaign of the IRA. Besides the RCT and RCG (and later Red Action), the British left preferred the path of the mass political movement rather than the IRA’s terror strategy and expressed solidarity with those in the anti-H-Block campaign. However the British left had to accept that although alternative sites of Republicanism had been built in the early 1980s, the militarism of Sinn Fein and the IRA still dominated the Republican movement. The ‘dirty protest’ by the women imprisoned in Armagh Gaol and the hunger strike by Mairead Nugent, Mairead Farrell and Mary Doyle brought attention to the experiences of Irish women involved in the Republican struggle in both Ireland and Britain. The British far left press followed these protests and the strike, with the pages of the Morning Star, Socialist Worker and Socialist Challenge all covering the developments in Armagh and the campaigns outside – although these campaigns were, at the local level, mostly led by women’s liberation groups, rather than the left-wing parties. 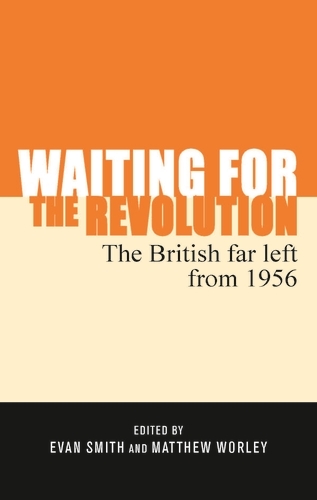 Organisationally, the left still deferred much of its campaigning to the Troops Out Movement, which operated as a broad left campaign that reached beyond the traditional audience of the various far left groups. Particular emphasis was given to the plight of inmate Pauline McLaughlin who was not part of the hunger strike, but still suffered from illness due to a lack of food being eaten. While the CPGB, the SWP and the IMG all broadly supported the anti-H-Block campaign and the women’s hunger strike, Militant was much more ambivalent and supported the campaign for political status purely as a human rights issue, even though the rest of the left acknowledged that the wider issue of the British occupation of Northern Ireland was an integral part of the women prisoner’s campaign. On the other side of the fence, the RCG and the RCT called for ‘direct action’ by British activists in solidarity with those in prison in Long Kesh and Armagh. The RCG maintained a focus on prisoner solidarity and highlighted the issue in their weekly paper, Fight Racism! Fight Imperialism!, while the RCT called rank-and-file trade unionists to compel the TUC to explicitly support the Irish Republican cause, as well as promoting the slogan ‘Bring the War to Britain’ (even the slogan was not widely received amongst other activists and left-wing organisations. In conclusion, it seems that the issue of the women’s protests in Armagh were given much needed publicity in Britain by the left-wing press, but much of the grassroots campaigning was left to various feminist groups, such as the Armagh Co-Ordinating Group and Women Against Imperialism, who launched significant demonstrations in London, Belfast and Dublin between 1979 and 1981. Many of these women were part of the various left-wing groups or the TOM, but organised around this issue as feminists or as Republicans (or even Republican feminists). While an intersectional solidarity was expressed with the women in Armagh, the British far left acceded much of this to the women’s liberation movement. Thanks to Rob Marsden, Fidelma Breen, Adrian Kerr, Sarah Grimes, Jacob Murphy, Alastair Renwick, Di Parkin, John Cunningham, Helen Yaffe, Toby Harb, Jim Monaghan, Lindsey Cole and Brodie Nugent for their assistance in providing material for this post. F. Stuart Ross, Smashing H-Block: The Rise and Fall of the Popular Campaign Against Criminalization, 1976-1982 (Liverpool: Liverpool University Press, 2011) p. 5. V.I. Lenin, ‘The Right of Nations to Self-Determination’, Marxist Internet Archive, https://www.marxists.org/archive/lenin/works/1914/self-det/ch08.htm. 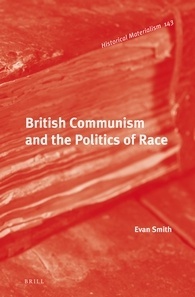 Kevin Morgam, Gidon Cohen and Andrew Flinn, Communists and British Society 1920-1991 (London: River Orams Press 2007) pp. 196-202. Special Correspondent, ‘Ireland’s Workers Needs a Party Based on Connolly’s Teachings’, The Newsletter, 2/81 (13 December, 1958) p. 6. Special Correspondent, ‘Ireland’s Workers Needs a Party Based on Connolly’s Teachings’, p. 5. ‘Ireland’, International Socialism, 1/40 (October/November 1969) p. 2. ‘Ulster: Turn the Civil War into a Revolutionary War’, Black Dwarf, 14/21 (30 August, 1969) p. 8. John Cunningham, ‘The Militant Tendency Comes to Ireland, c.1969-89’, in Laurence Marley (ed. ), The British Labour Party and Twentieth-Century Ireland: The cause of Ireland, the cause of Labour (Manchester: Manchester University Press, 2015) p. 201. Cunningham, ‘The Militant Tendency Comes to Ireland, c.1969-89’, p. 200. In 1973, Marxism Today ran an article by the CPI’s Dublin Area Secretary, Tom Redmond, which argued, ‘Wherever working class leadership is absent the tactics, strategies and content adopted are those of the middle class.’ Redmond further claimed that the ‘social composition of the Provisionals was more middle class [than the Official IRA] and mainly rural’. Tom Redmond, ‘The Forces in the Irish National Liberation Struggle’, Marxism Today (June 1973) pp. 169-170. Eamonn McCann, ‘After 5 October 1968’, International Socialism, 1/51 (1972) p. 11. The Red Mole, 48 (7 August, 1972) p. 1. Jacob Murphy, ‘“Ireland’s Tragedy is Britain’s Disgrace”: The Troops Out Movement Campaign for the Withdrawal of the British Army from Northern Ireland, 1973-77’, unpublished MA thesis, Newcastle University (2014) p. 4. Murphy, ‘“Ireland’s Tragedy is Britain’s Disgrace”’, p. 13. Murphy, ‘“Ireland’s Tragedy is Britain’s Disgrace”’, p. 40. The situation in Ireland was one of the major areas of disagreement between the IS and those who formed Workers’ Fight. See: Ian Birchall, Tony Cliff: A Marxist for His Time (London: Bookmarks 2011) pp. 322-325. Murphy, ‘“Ireland’s Tragedy is Britain’s Disgrace”’, pp. 41-42. Morning Star, 17 December, 1980; Socialist Worker, 22 November, 1980. ‘H Blocks – Only the Labour Movement has the Solution’, Socialist Youth (February 1981) p. 2. Militant, Internal Bulletin (March 1981) pp. 6-7. Cunningham, ‘The Militant Tendency Comes to Ireland’, p. 208. Morning Star, 17 November, 1980. Socialist Worker, 22 November, 1980. Socialist Challenge, 3 December, 1980. Socialist Worker, 13 December, 1980. Morning Star, 9 December, 1980. Socialist Challenge, 10 December, 1980. Socialist Challenge, 17 December, 1980. Socialist Challenge, 1 January, 1981. ‘Left Advance Left Behind’, Socialist Review (May 1980) p.
 Shaun Docherty, ‘Ireland: Bitter Climax’, Socialist Review (December 1980) p. 4. Shaun Docherty, ‘Don’t Let Them Die!’, Socialist Review (November 1980) p. 22. Chris Harman, ‘Ireland: After the Hunger Strike’, Socialist Review (January 1981) pp. 20-21. Kieren Allen, ‘Who’s Who on the Irish Left’, Socialist Review (January 1981) p. 23. ‘Attacks on Women Prisoners’, Troops Out (March 1980) p. 3. ‘Attacks on Women Prisoners’, p. 3. ‘Armagh Conditions Exposed’, Troops Out (May 1980) p. 12. ‘Rose McAllister Speaks Out Armagh Prison’, Troops Out (August/September 1980) p. 5. John Callaghan, The Far Left in British Politics (Oxford: Basil Blackwell, 1987) p. 145. See: Gavin Brown & Helen Yaffe, ‘Practices of Solidarity: Opposing Apartheid in the Centre of London’, Antipode, 46/1 (January 2014) pp. 34-52. As Brown and Yaffe mention elsewhere, the RCG portrayed the areas that it worked in as part of a global struggle, as demonstrated by the slogan, ‘Brixton, Belfast, Soweto – One Struggle! One Fight!’ Gavin Brown & Helen Yaffe, Non-Stop Against Apartheid: Practicing Solidarity Outside the South African Embassy’, Social Movement Studies, 12/2 (2013) p. 232. Eddie Abrahams, ‘Citizenship and Rights: The Deportation of Viraj Mendis’, Critical Social Policy, 9/26 (September 1989) pp. 107-111; Anandi Ramamurthy, Black Star: Britain’s Asian Youth Movements (London: Pluto Press, 2013) p. 105; p. 118. ‘Marian Price Freed’, Fight Racism! Fight Imperialism! (July/August 1980) p.
Marian Price was one of two sisters given life sentences in 1973 for terrorism offences. Imprisoned in England, the two sisters, along with two men, went on hunger strike, but were force-fed by the prison authorities. The strike lasted 200 days, before the Price sisters were transferred to Armagh. George Sweeney, ‘Self-Immolative Martyrdom: Explaining the Irish Hunger Strike Tradition’, Studies: An Irish Quarterly Review, 93/271 (Autumn 2004) p. 342. ‘Armagh Goal’, Fight Racism! Fight Imperialism! (September/October 1980) p. 12. RCT, Ireland’s Victory Means Britain’s Defeat (London: RCT pamphlet, 1980) p. 15. RCT, Ireland’s Victory Means Britain’s Defeat, p. 17. RCT, ‘Demonstration in Support of the H-Block Prisoners’, October 1980, RCT flyer. Smash the Prevention of Terrorism Act Campaign, TUC Hands off Ireland! (London: RCT pamphlet, 1981) p. 15. Smash the PTA Campaign, TUC Hands off Ireland! p. 15. RCT, Ireland’s Victory Means Britain’s Defeat, p. 23. RCT, Ireland’s Victory Means Britain’s Defeat, pp. 21-22. See: Jeremy Varon, Bringing the War Home: The Weather Underground, the Red Army Faction, and Revolutionary Violence in the Sixties and Seventies (Oakland, CA: University of California Press, 2004). ‘Pauline McLaughlin’, Troops Out (December 1980) p. 7. Socialist Challenge, 13 November, 1980. Hansard, 9 December, 1980, col. 345w. Hansard, 9 December, 1980, col. 346w. Morning Star, 23 December, 1980. Morning Star, 12 December, 1980. Morning Star, 5 November, 1980. Ann Rossiter, ‘“Not Our Cup of Tea”: Nation, Empire and the Irish Question in English Feminism in the 1970s and 1980s’, unpublished PhD thesis, London South Bank University (2005) p. 225. Tommy McKearney, The Provisional IRA: From Insurrection to Parliament (London: Pluto Press 2011) pp. 157-163. 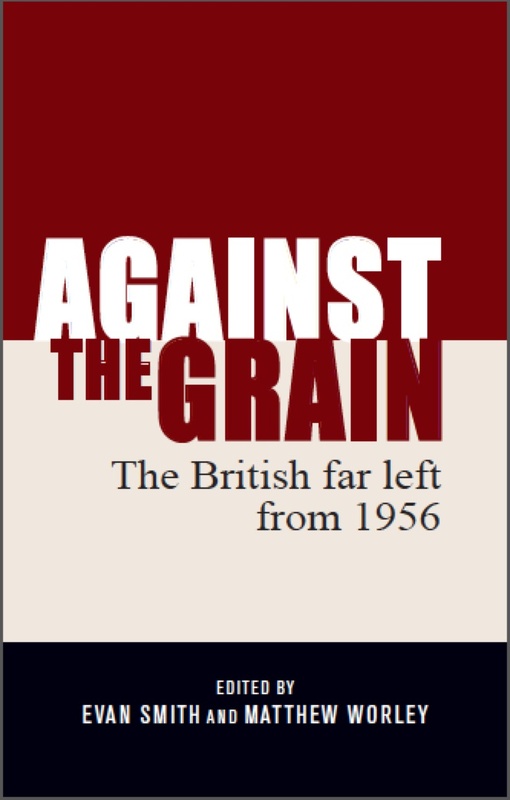 Mark Hayes, ‘Red Action – Left Wing Political Pariah: Some Observations Regarding Ideological Apostasy and the Discourse of Proletarian Resistance’, in Evan Smith & Matthew Worley, Against the Grain: The British Far Left from 1956 (Manchester: Manchester University Press 2014) pp. 242-243.